Technology has advanced at a rapid pace over the years. Smartphones, tablets, and computers seem to grow more powerful with each passing day. Thus, people expect to be able to do anything and everything online. And, why wouldn’t they? A person can connect to the Internet with a phone’s data plan or thanks to WiFi hotspots from virtually anywhere. A lot of apps promise to do this or that, and many of them fulfill the obligations. Things that once had to be done in a traditional classroom setting can now even be completed on the web. These tasks include driver’s ed and traffic school. It may sound far-fetched or strange to think about learning how to drive in this way, but today, the feat is easier to accomplish than ever before. Online adult drivers ed schools began popping up in the 1990s, and there is no shortage of them now. Hence, interested parties will find it in their best interest to know the ins and outs of the best adult drivers ed courses online. There are scams to go along with the legitimate web-based businesses, so consumers can never be too careful. They should read reviews like this one, do some other research, and even ask friends about their experiences to discover the best adult drivers ed courses online. If the individual fails to investigate the company, they may wind up getting taken advantage of and throwing their hard earned money down the drain. There are several adult drivers ed courses online, but these are the best of the best and they aren’t any more expensive than the low-quality, text-only courses. As always, make sure you do your own research, but hopefully, these comparisons and reviews of the best adult drivers ed courses are helpful and give you a good starting point. Aceable is relatively new to the scene, but it is technologically advanced and the preferred choice of many students. It features a well-built smartphone app for both the iOS and Android platforms. Everything, aside from the in-person driving, which must be completed independently, is 100% online. The courses keep students engaged and entertained with interactive content, animations, text, and videos. Progress gets saved as the student goes, which means they can take breaks or switch devices without losing their place. The most substantial issue with Aceable is that it is not accepted everywhere yet. It is DMV certified in many states such as California, Florida, Nevada, Ohio, Texas, Illinois, and Pennsylvania. If the driver lives in one of these locations, they are all set and just need to sign up. However, folks that reside in other places should move on to the next name on this list of best adult drivers ed courses online. 2019 Update: Aceable easily remains my top pick for 2019. Even though they were already the best adult drivers ed course online, they have continued to regularly update their course material. If you plan on taking any of your course on a mobile device, you really shouldn’t look any further. No course comes close to the mobile-friendliness of Aceable. If I had to give just one recommendation, Aceable would easily be it. DriversEd.com is a proven and established name in the industry. It is one of the best adult drivers ed courses online as over 11 million students have passed the programs. One downfall of DriversEd.com is that it seems more appropriate for teens, so it may not be the right choice if you are a later in life driver. However, everything takes place 100% online, and the school even offers optional in-person driver training packages. 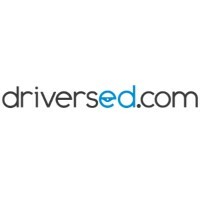 The coursework can be done on a computer or mobile device, but DriversEd.com does not have a dedicated app yet so it will need to be done in a mobile browser. Another pro that makes DriversEd.com one of the best adult drivers ed courses online is that it is DMV certified in most states. So, the chances are good that it is approved for your hometown. The classes are also affordable, which is always a plus in the modern world as people don’t like spending an arm and a leg on something like driver’s education. 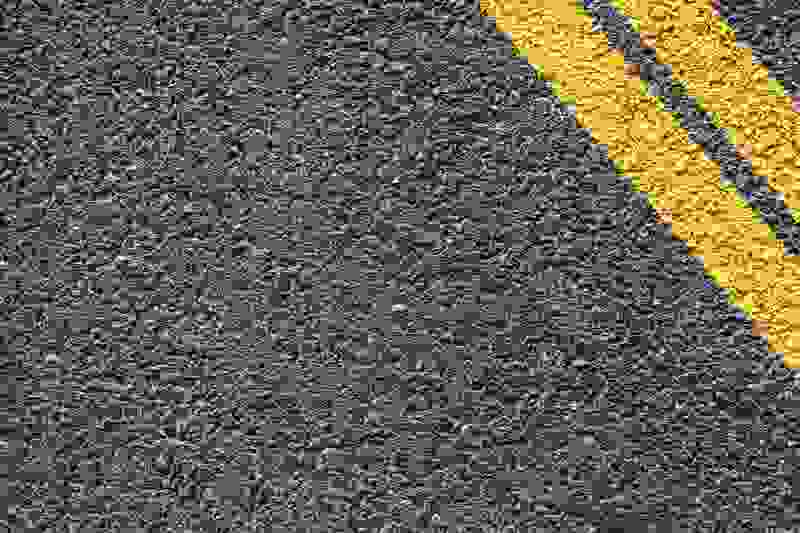 2019 Update: DriversEd.com made some minor updates to the course over the past year, but for the most part not too much as changed for 2019. This isn’t necessarily a bad thing as DriversEd.com has been one of the most popular adult online drivers ed programs for decades. They’ve really gotten this down to a science and don’t need to make big changes every year. All in all, DriversEd.com remains a great choice in 2019.
iDriveSafely has been around for quite some time now. Since the school’s inception, it has assisted over 5-million students in passing and graduating its courses. Students can choose from text or video-based programs, which are both affordable, but the latter is a bit more expensive. There is not an app though, so all of the work is only online. However, the institution is approved in more states than Aceable, and it is definitely worth a look. Due to these things and more, iDriveSafely deserves recognition as one of the best adult drivers ed courses online. Some folks feel as if the curriculum is somewhat dull and boring, but the lessons are easy and quick. By paying a little attention and sticking to the tasks at hand, students will be finished in the blink of an eye. Read further to learn about another option if you are still not convinced about where to enroll. 2019 Update: iDriveSafely made some changes to the back end of their course to help make it run a bit smoother, especially on mobile devices. They didn’t make many changes to the actual course content, but no improvements were really necessary. This remains a top online drivers ed course for adults in 2019. 2 Cool Traffic School is a new addition to this list in 2019. They have offered an Ohio 4 hour abbreviated adult drivers ed course since 2017, but I just found out recently that this course was being offered through them. This is absolutely one of the best adult online drivers ed courses you can take in Ohio. What I really like about this course is most of the “extras” that other online drivers ed courses charge for are included in this course. For example, 100% of the course is narrated by an animated “instructor” which many other programs charge extra for. They also offer free certificates mailed out daily instead of weekly like some other courses. With other courses, if you want expedited shipping, you have to pay more. While hardly anyone fails this course, if you happen to not pass the first time, you get free retakes as well. While many other online drivers ed courses consist of page after page of plain text, 2 Cool Traffic School decided to spice things up a bit by providing full narration standard with every purchase. This really helps to make the class less boring and for most students, this narration increases retention rates. That means, you’re more likely to pass the course and remember the most important information. You can check out their free demo to get a better idea of how the course works. And of course, just like any other modern and high-quality online drivers ed course, you can take the course from any device. You can also stop and start the course whenever you want as they keep track of your progress. You’re guaranteed to pass and the customer service that 2 Cool Traffic School provides is among the best in the industry. This is absolutely a fantastic option to consider to complete your Ohio abbreviated drivers ed requirements. For one, attending a course at a community college or another establishment puts the student in a stuffy, crowded classroom. They are stuck in this area for the allotted time with a bunch of strangers. In some cases, adults even get paired with 16-year-old drivers. These types of things can leave the grown-ups learning to drive feeling awkward, embarrassed, and self-conscious. So, perhaps the most significant benefit of using the best adult drivers ed courses online is privacy. The learner gets to read, watch videos, and take exams from the comforts of home. Another perk of the best adult drivers ed courses online is value. The cost of a conventional driving class can cause people to do a double take. These programs usually run around $180 or so just for the classroom part. Meanwhile, web classes are notably cheaper and typically cost somewhere in the range of 20 to 50 dollars. With these low prices, not only can adults learn to drive in a comfortable environment, but they can also do so without breaking the bank. Time and flexibility are a few of the other bonuses associated with the best adult drivers ed courses online. These organizations understand that time is a precious commodity. They design the programs so that students can work on them at their own pace when the opportunity presents itself. After all, not everyone keeps the same schedule and can complete the things in the same period. Page Last Updated On March 14th, 2019.